The Legal Innovation Centre benefits from the expertise, insight and input of our distinguished Advisory Group, who advise on the positioning and value of the Centre for the development of the Legal Sector in Northern Ireland. Provide a link between the Centre and the organizations and bodies represented in the Group. Anne is a Client & Sector Development Manager for Financial & Professional Services in Invest NI’s Technology & Services Division, with a particular focus on legal services. She manages a team of executives, works with a portfolio of major existing investors and has responsibility for the development and implementation of Invest NI’s legal sector development strategy. Her key strategic priorities for the NI legal sector are increased internationalisation and the growth of a more expansive cluster in the region. A business & french graduate from Queen’s University and a member of the Chartered Institute of Marketing, Anne started her career in international business development for the linen industry before moving into economic development in 1999. She initially worked with start-up companies and SME’s before moving to Invest NI’s international marketing team in 2004 where she focused on promoting Northern Ireland as location for mobile ICT investment. 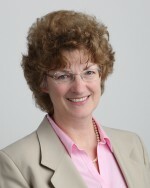 Anne moved to her current role in client, team and sector management in 2006. Andrew was the senior leader responsible for the location selection and subsequent implementation of A&O’s Belfast office. He is globally accountable for technology and shared services and is the Head of the Belfast Office. Now the firm’s second largest office by headcount, Belfast provides HR, IT, business services, library, finance and business development services to the firm. In addition, a Legal Services Centre supports the firm’s legal teams around the world and provides clients with options for the delivery of some of the more routine elements of their legal services. 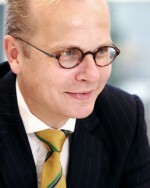 With a background in IT, Andrew previously held senior IT management roles in both Andersen and Allen & Overy. Tim is Director of Research & Impact at Ulster University. He directs the University’s research strategy, governance and administration, and guides its commercial output through knowledge transfer and intellectual property commercialisation. Tim also holds the position of Executive Director of Innovation Ulster Ltd, Ulster’s venturing and investment company. He has led the establishment of more than 35 tech start-ups, secured over £380m of Venture Capital, managed a profitable investment fund and ensured investor value from company acquisitions and a stock market flotation. He has been serving as Director of many of Ulster University’s spin out companies, Invest NI, and the UK Knowledge Transfer Network. Alison is the co-founder of Hook Tangaza following the merger of Hook International and Tangaza Advisory Services in 2016. Alison leads on Hook Tangaza’s technical assistance, trade and regulatory work. 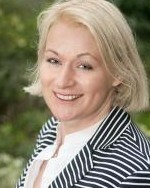 Before setting up Hook International in 2011, Alison was the Director of International at the Law Society of England and Wales where she played a leading role in advocating for more open legal markets and working with government to develop an export promotion strategy for UK legal services. Earlier in her career, Alison worked for the European Commission, both in London and Brussels and for the Foreign and Commonwealth Office in London and Lagos. She graduated in economics from the University of Edinburgh and holds a Masters in economics from Warwick University and an MBA from the Open University. In 2008, she was recognised in the Lawyer ‘Hot 100’. Dr Danny McConnell is the Partner leading the Deloitte Technology practice in Northern Ireland, where he focuses on the design and delivery of data analytics solutions & products including the provision of these solutions & solutions on a managed services basis. He has worked as a consultant for over 20 years and with clients across the public and private sectors, with a focus on the Central Government and Energy & Resources. 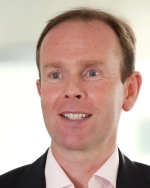 Before joining Deloitte, Danny trained as an accountant in the NI Civil Service. Danny holds a BSc in Chemistry, a MBA and a PhD from Loughborough University. 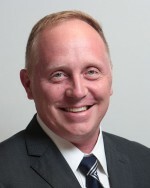 Jason Marty is Global Director of Operations and Executive Director of Global Services Belfast. Having relocated to Northern Ireland from Chicago, Mr Marty is responsible for leading development and operations in the Global Services Centre, which is now home to over 220 employees. Mr Marty joined Baker McKenzie in 2001 and has previously been its Global Director of Knowledge Management and Global Director of Marketing, respectively. He is currently leading the Firm’s overall Innovation Programme, focusing on disruptive technologies, services innovation, and driving organizational change necessary to meet client needs in a rapidly changing industry. He holds a Masters degree in rhetoric from Temple University in Philadelphia, PA and a Bachelors degree from Drake University in Des Moines, IA. Professor Liam Maguire is the Executive Dean of the Faculty of Computing, Engineering and the Built Environment. Liam obtained MEng and PhD degrees in Electrical and Electronic Engineering from Queen’s University, Belfast. 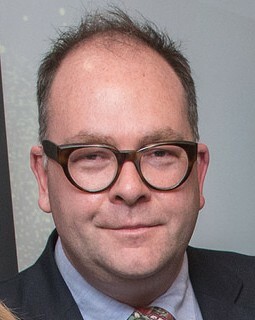 He joined Ulster University as a lecturer in 1994 and held Senior Lecturer and Reader positions before becoming a Professor of Computational Intelligence in 2007. His research interests focus on data analytics and machine learning with particular focus on bio-inspired approaches. Author of over 250 research papers, Liam has secured extensive research funding and supervised 18 PhD and three MPhil students to completion. Liam is a Fellow of the Institution of Engineering and Technology and a chartered engineer with an extensive network of colleagues in the digital and engineering sectors in Northern Ireland. Most recently he has been appointed to the NI Digital Catapult Advisory Board. His research and teaching links extend across China, Japan, the USA and throughout Europe. Jane is head of Allen & Overy’s Legal Services Centre in Belfast and has been involved since 2011 in the design and management of the LSC. She has over 25 years' experience in acquisitions, disposals, reorganisations and joint ventures, for both public and private companies, and on IPOs and other equity capital markets offerings, in London, the Middle East and the CEE. 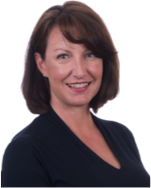 Jane has a particular interest in the evolving nature of the legal services industry and in the effective combination of flexible alternative delivery models with more traditional high-end law firm work.